Goal of the Day: 22 trail miles in 6hrs with 44# of rucksack. Just because I don’t have a snowball’s chance in hell of ever winning an ultramarathon doesn’t mean that I don’t set goals for myself. In fact, I might set multiple goals for a single race. Or I may a single goal for an entire year’s time period. The point is, goals help you keep motivated to improve and give you a benchmark to evaluate your progress. A good goal should push you mentally and physically and be right on that line between realistic and unachievable. Goals that are too easy to achieve might look good in social media, but are basically ego fluff – while completely unrealistic goals don’t do anything for you but make you look like you think you are a bit too big for your britches. When I am referring to goals, I am referring to good goals. What is a good goal? One of the classic strategies for goal setting is to set “S.M.A.R.T” goals. Disclaimer – I am not claiming to have come up with this methodology! Chances are anyone who has taken any leadership or business classes has seen this before. I am simply applying it to the world of ultrarunning. SMART is an acronym referring to setting goals that are Specific, Measurable, Attainable, Relevant, and Timely. You can see that the second goal meets all the S.M.A.R.T criteria and is much easier to break into parts and ultimately train specifically for – and achieve! Of course attainability is different for everyone, and you will need to take a look at your current abilities to determine a good goal time. Don’t be afraid to set goals that scare the living crap out of you! If you find you are hitting your goals a little too easy, you might need to dial it up a notch and get more ambitious. You may totally fail to reach your early goals, or you may blow them out of the water, simply adjust to meet your maximum abilities for the next one. I love setting intermediate goals. You do not always have to go straight to the “Big Show”. When I was training for the Leadville Trail 100, I had 8 months of lead time. That is a LONG time to focus on a single race, so I didn’t. I actually signed up for several races along the way, setting goals for each. Each goal I achieved (or didn’t) taught me where my strengths and weaknesses were and kept me motivated and working hard to make improvements for the next one goal race. Remember your goal does not have to be TIME based. It could also be mileage based. Maybe you just want to finish a 50 miler. Your goal may not even include an organized event – there are no rules! 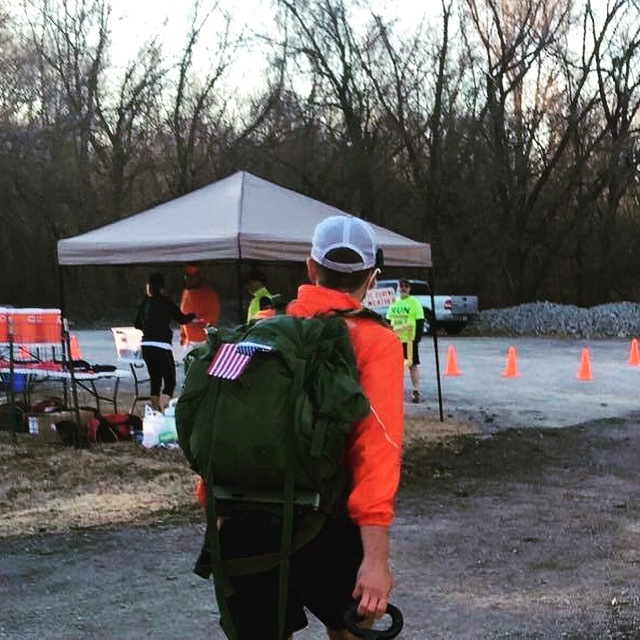 Your goal may be to raise $1000 while running 50 miles unsupported. That is personal to you! The point is that making good goals will actually help you achieve them. Finally, don’t get discouraged if you don’t meet your initial goals! Maybe you DNF or don’t hit your goal time, keep trying. It is a way to mark improvement over time. Times or distances may have been too much for you at first, but I know that if you keep setting good goals and working hard, you will eventually see the results you desire! Zach masquerades as a white collar corporate zombie Monday thru Friday in order to afford race entries, but is much happier writing columns for Ultrarunning Magazine or blogging at www.MidPackZach.com. Writing and playing Dungeons and Dragons are his hobbies, but running ultras and having adventures is his passion. Zach loves sarcasm, dislikes whining, and occasionally likes to write what lots of people are thinking but don’t dare say in public.